The new owners of the defunct Power Holding Company of Nigeria (PHCN) have accessed about N158 billion from the Central Bank of Nigeria under its Nigeria Electricity Market Stabilisation Facility (NEMSF). The facility, which was initially N213 billion, was initiated in September 2014 to clear debts that were inherited from the defunct PHCN by the privatised utility firms after November 1, 2013. However, about N51.8bn of the fund is yet to be disbursed to 40 participating firms. CBN said it disbursed N158.7bn to 37 firms since 2015. The disbursement is put under a Special Purpose Vehicle (SPV) called the NESI Stabilisation Strategy Limited with Registered Company (RC) number: 1237000, the Daily Trust learnt. It was to be disbursed to Nigerian Electricity Market (NEM) participants at a single digit interest rate with a moratorium of six months. Fresh updates from the fund showed that N158.74bn has been disbursed in five batches, representing 75 per cent of the total amount. An update revealed that by October 2015, one year after it was initiated, N58bn was disbursed with a 10 year repayment period, at a 10 per cent interest rate. The latest disbursement of N38.53bn was made on April 4, 2018 to Abuja DisCo. Records obtained from the Ministry of Power, Works and Housing showed that as at April 6, 2018, the N158.744bn has been disbursed to 37 of the power sector firms from a total Global Facility of N210.626bn pegged to offset legacy payments. The breakdown of the disbursements showed that seven Distribution Companies (DisCos) were slated to get N56.355bn. CBN said it has disbursed N49.841bn which is 88 per cent while N6.513bn representing 12 per cent is pending. For the Generation Companies (GenCos), 18 of them are to benefit from N86.834bn and have gotten N73.545bn representing 85 per cent. A balance of 15 per cent which is N13.288bn is still pending. 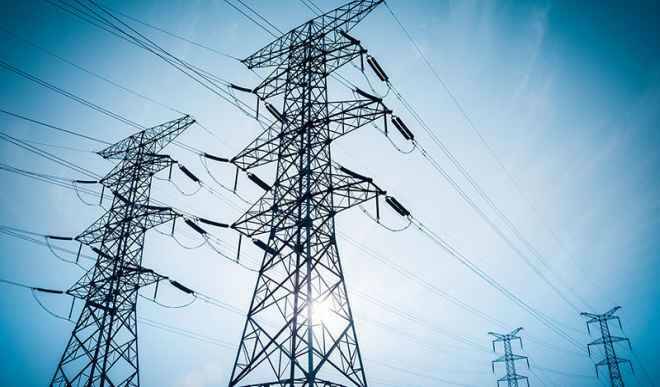 Six Service Providers which include the Transmission Company of Nigeria (TCN) and the Market Operator (MO) are also in the scheme to get N25.908bn. They have received N10.463bn (40 per cent) and are expected to get N15.44bn which is 60 per cent, the disbursement record showed. Six Gas Companies (GasCos) are to get N41.528bn. N24.892bn has been disbursed to them which is 60 per cent and they await the disbursement of N16.635bn which will be the 40 per cent outstanding sum. The data also revealed that 25 per cent of the facility disbursement is pending, derailing plans of the CBN to disburse all the funds within one year of the commencement of the intervention. The document noted that Kaduna and Yola DisCos are yet to come on board the facility though they are expected to get about N25.37bn. The analysis of pending disbursements indicates that N25.37bn will be paid to Kaduna and Yola DisCos once they complete the signing of the NEMSF agreements as beneficiaries before June 2018. While Kaduna DisCo could get N18.400bn, Yola DisCo may get N6.972bn. CBN, through the SPV, plans to disburse another N500 million to other participants in the NESI value chain.